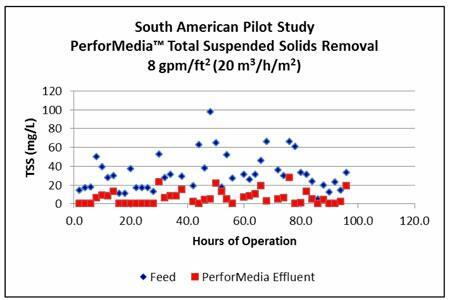 PerforMedia™ oil removal media replaces walnut shells in media filtration systems. Manufactured from materials not subject to agricultural limitations, the media is able to handle five times the amount of oil before requiring backwash; is able to maintain feed concentrations of greater than 500 mg/L while producing effluent well under 10 ppm; and can be used on a wide range of oil API and elevated temperatures. Download our white paper today.